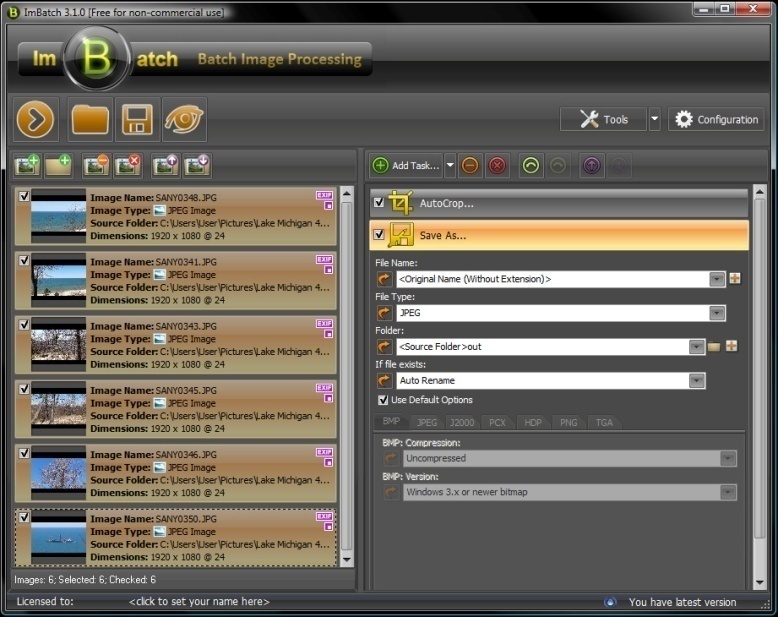 First you will need to open ImBatch. 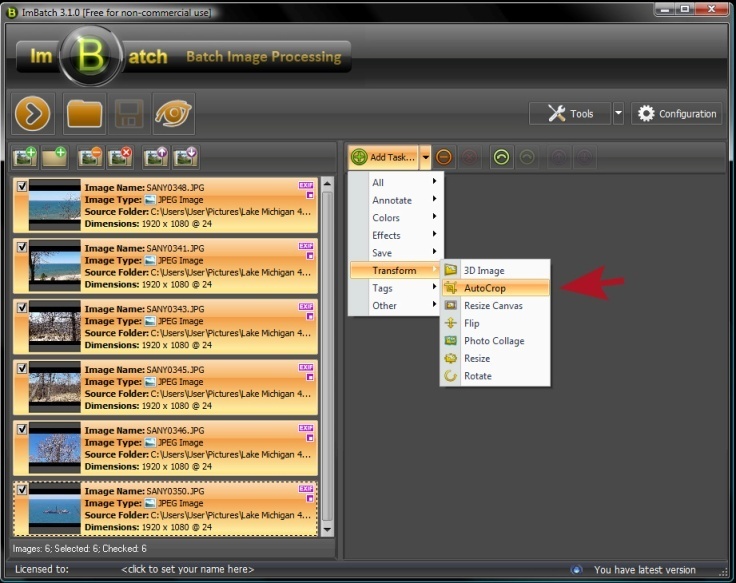 Once the images are loaded into the work space, highlight each of the images to indicate that you plan to crop all of them. With the topmost image highlighted, hold down your shift button. Next, with shift still held down, hover your mouse cursor over the bottom most image and left-click. This will highlight every image between the first and last. Now you're ready to add a task. Click on the Add Task button. Select Transform from the menu and then select AutoCrop. Here you can choose Crop Type based on transparency or color. Choosing transparency will crop the image edges through transparency. Choosing color will create a crop that removes the indicated color. 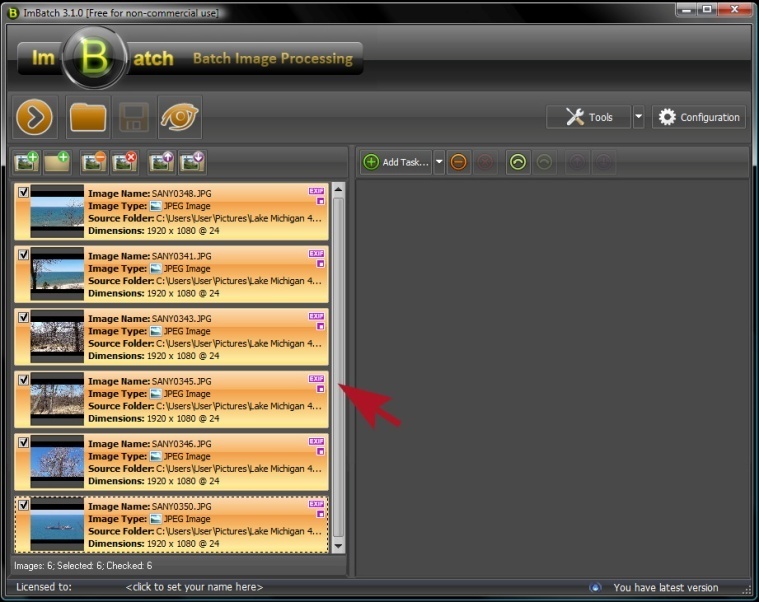 When you're ready click the Run batch image processing icon located in the top left toolbar.